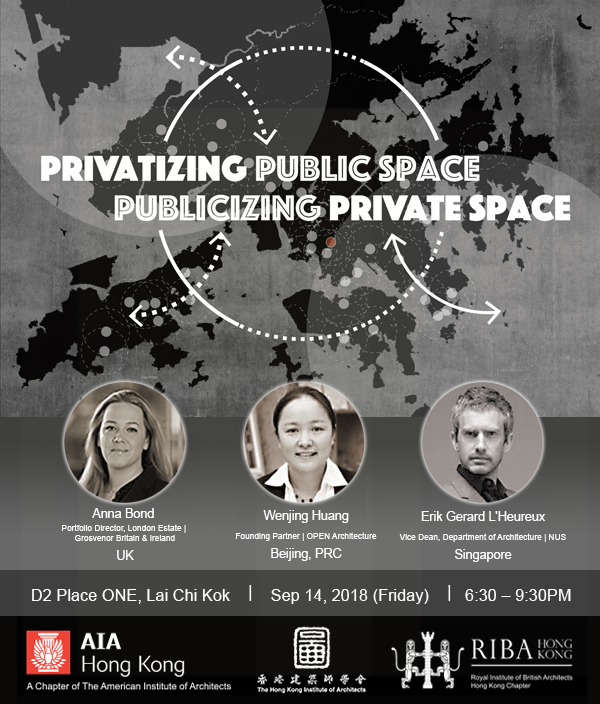 Please join us for a collaborative symposium with the HKIA and RIBA (HK): Privatizing Public Space/Publicizing Private Space co–sponsored by Laws Group and Paul Y. Engineering. This event will also be our Chapter’s Third Quarterly Meeting. With the decrease in public spaces and an increase in the number of land sales, some of the world’s developers have now begun to create public spaces within their developments that enhance the immediate environment, even at the expense of their allowable buildable area. Although ‘private’ and ‘public’ are seemingly opposites, these initiatives aim to provide amenities for the general public, and architects and urban designers are increasingly tasked with providing creative solutions. Simultaneously, designers must constantly adapt to shifting government policies regarding the maximum amount of buildable area.